Kevin Murray is a highly experienced town planner and urbanist, with over 30 years experience in the fields of planning, regeneration, urban design and economic development. He has worked in UK local government and has also been a director of two international multi-disciplinary consultancies, EDAW and Tibbalds Monro. Kevin is a founder Director, and past Chairman, of the Academy of Urbanism and Honorary Professor of Planning at Glasgow University. He is a Past President of the Royal Town Planning Institute and was a founding member of the Urban Design Alliance. A strong believer in the philosophy of placemaking and enlightened place management, he has co-authored the RTPI’s New Vision for Planning, contributed to the Egan Task Group on Delivering Sustainable Communities, served on the board of the Academy for Sustainable Communities and helped create The Freiburg Charter on Sustainable Urbanism. He has given evidence on urban planning and townscape matters to committees in both UK Houses of Parliament, and lectured on planning, design and community regeneration around the world, and contributed to debates in television and radio, as well as in conferences and in community workshops. Kevin has a particular interest in helping towns, cities and their respective communities to address change and uncertainty, and has devised a place momentum approach and various techniques to address this. KMA clients range from community and business groups, through landowners and developers, to national and local government bodies. 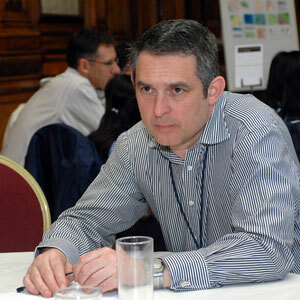 Kevin’s role as an assessor of The European City of the Year connects him with leading practice, and several of KMA projects have won awards, notably for their approach to consultation and engagement.